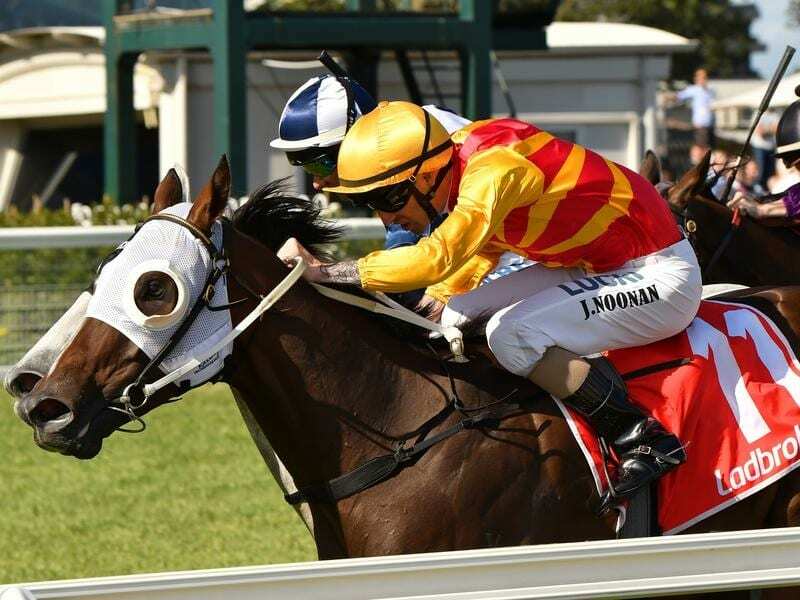 What looked like it might have been going to be a comfortable victory for Mastering has turned into a few anxious moments for connections and supporters of the short-priced favourite at Caulfield. The Mick Price-trained gelding was the shortest-priced favourite on Saturday’s nine-race program at $1.70 in the Fiona Jamieson Handicap in his first test over 1400m this preparation. And while he got the job done, it was only by the barest of margins on the line. Jockey Jake Noonan gave Mastering a box-seat ride before producing him at the top of the straight and he raced to the lead. But Mastering was forced to hold on over the concluding stages as Harbour Grey, ridden by Brett Prebble, came off his back and surged late only to be denied by a nose. Despite the narrow margin, Noonan felt there was still merit in the performance and believes Mastering would have kicked stronger had he had something else to chase in the straight. “It was a good effort,” Noonan said. “He was up to the 1400-metres which was obviously a little question mark for him but I had the right soft run in transit. “He put pay to them pretty well at the top of the straight but just got a little bit lost on his own. Mastering has returned this preparation as a gelding and registered two wins and a second from three starts. The meeting also featured an overdue win for Black Sail who had finished either second or third in his past four starts. Black Sail was the $2.70 favourite in the Nicholas Rehfisch Handicap (1600m) and was forced to fight hard to get past leader Prima in an on-pace dominated race before edging clear late to score by half a length with another length to Amadeus third. “To say the horse and his owners deserve that would be putting it lightly,” co-trainer David Eustace said. Black Sail formed part of a winning double for the Ciaron Maher and Eustace stable who also won with Enigman, while trainer Henry Dwyer and jockeys Dwayne Dunn and Mark Zahra also notched winning doubles at the meeting.